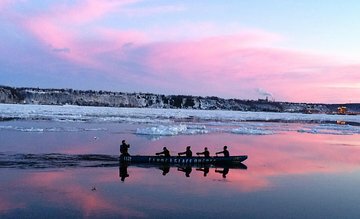 Once the only way to travel between Quebec City and Levis during the winter months, ice canoeing is today a great way to explore coastal Quebec’s waters. On this tour, take to the freezing St. Lawrence River by canoe and navigate the solid ice slabs with your guide. With neoprene layers and safety equipment included, embrace outdoor adventure in Quebec and enjoy fine views over Old Quebec City.